Finally someone in the mainstream media has changed their opinion on cannabis and he is sharing his new opinion with the world. That someone is CNN news correspondent neurosurgeon Dr. Sanjay Gupta. On August 11th 2013, CNN aired Sanjay Gupta's documentary "WEED". The documentary was very informative and touched on many good topics. The show features real medical marijuana patients who, on camera, take cannabis to show the amazing results it has on them. He touches on how cannabis affects the brain in cannabis users who use regularly verses cannabis users that use occasionally. 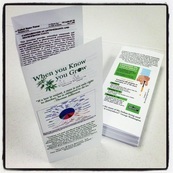 He explains how cannabis prohibition was started by Harry Anslinger and was based on lies. Sanjay even touches on studies that have shown that the cannabinoids in cannabis like THC and CBD can kill cancer cells. The most amazing story within the documentary was the story of 5 year old Charlotte Figi. Charlotte suffered from Dravet Syndrome, a severe form of epilepsy found in children. From the time she was 2 she was having over 300 seizures a week which drastically affected her ability to learn, speak or even walk. She was unable to keep up with her twin sister. She was catatonic and nothing the doctors could do for her helped. All of their “medicines” had no effect on her condition and if anything they made her worse. Some of them almost killing her. After exhausting all other treatments, her parents turned to the internet to see what alternative treatments may be available. To their surprise they found that a certain strain of cannabis (the strain was later named Charlottes Web in her honor) was specifically helping children with Dravet Syndrome. So they made the decision to give cannabis oil to their daughter and from the first dose they noticed results. The 300+ seizures she was experiencing each week were reduced to only 1. Her parents have been amazed with the results and are so happy to get their daughter back. This is a must see documentary. 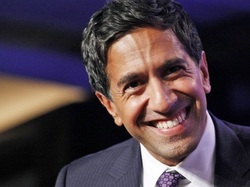 I'm glad that Dr. Sanjay Gupta was able change his opinion and admit that cannabis has medical value. If you agreed with Sanjay’s original opinion on cannabis, he will definitely give you reasons to change your mind in this documentary.